Shopping for Naruto Action Figures? 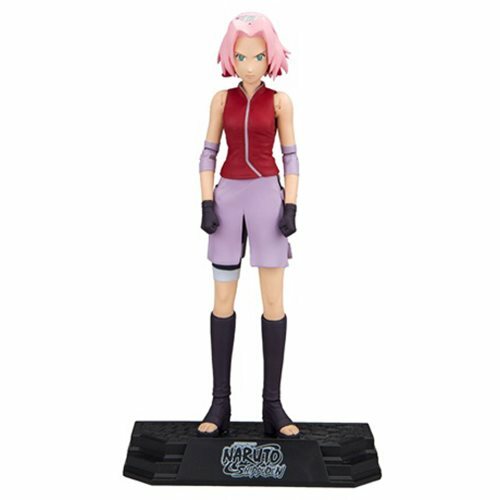 Based off the hit anime and manga Naurto Shippuden, Sakura Haruno comes to life in this detailed 7-inch action figure! Depicted with a determined look, Sakura is featured in one of her iconic outfits and comes with her medical pouch. She also comes with 15 points of articulation and 2 sets of hands, so fans can recreate their favorite scene from the anime! This Naruto Shippuden Sakura 7-Inch Action Figure comes with a stylized brand specific base and comes packaged in a window box. Ages 12 and up. After an intense training period, Sakura acquires the ability to heal wounds, and joins Team 7 as an experienced medical ninja. By building up chakrain her fists, Sakura possesses super human strength, and has become protective of Naruto shielding him at all costs after learning of the hardships in his life.